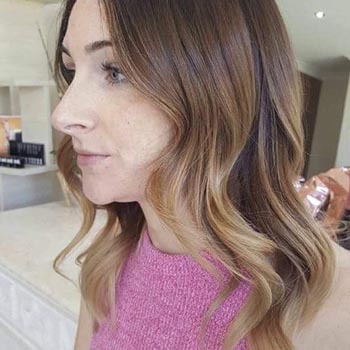 We all know the importance of contouring and highlighting your face to achieve a more radiant, refined look, but did you know you can do that to your hair also? But what is hair colour contouring? Colour contouring uses carefully applied feature foils around the face to completely transform your appearance. Darker shades, or lowlights, act as shadows to slim down the face, and are used in conjunction with lighter colour shades that reflect light to elongate the face. Hair stylists select colours based on each individual’s skin tone and face shape to ensure that the end result is natural and enhances your best features, while taking the focus away from those areas you’re less confident about. Whether you’re blonde or brunette, this subtle colouring of the front part of your hair is the perfect addition to your hair salon visit. How do stylists colour contour? 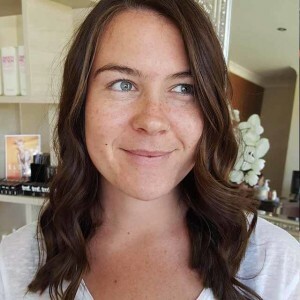 The first step of your hair salon appointment is to perform an all-over colour if needed first; this can be bleached blonde or a base cover brunette. Next, the experienced style consultant works with you to determine what facial features you want to highlight, and what areas you’d like to reduce to sculpt your face. From here, darker and lighter colours are chosen based on your current hair colour and skin tone. These highlights and lowlights are strategically placed around the front part of your face and once the process has been completed, you’re left with a stunning new look! Colour contouring is perfect for every hair colour and face shape as it’s 100% customised to each individual. Every face shape requires a different technique to create a look that’s most complementary so whether your face is round, square, heart, oval or oblong, colour contouring is for you. And if you’re not sure what face shape you have, that’s completely fine and what our professional stylists are here for! Typically, colour contouring is an additional service added to your usual hair colouring or bleaching appointment, but our highly qualified hair stylists at Morph Salon in Cannington and Claremont now offer this as a free upgrade with any hair service over $150 (toner not included). When you get results like below, what’s not to love about this offer? Contact us today and see how we can sculpt and transform your face with colour contouring.